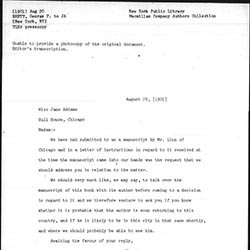 We have had submitted to us a manuscript by Mr. Linn of Chicago and in a letter of instructions in regard to it received at the time the manuscript came into our hands was the request that we should address you in relation to the matter. We should very much like, we may say, to talk over the manuscript of this book with its author before coming to a decision in regard to it and we therefore venture to ask you if you know whether it is probable that the author is soon returning to this country, and if he is likely to be in this city in that case shortly, and where we should probably be able to see him. 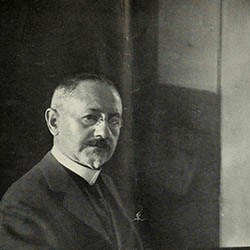 Brett asks Addams when James Weber Linn will be back in the country. 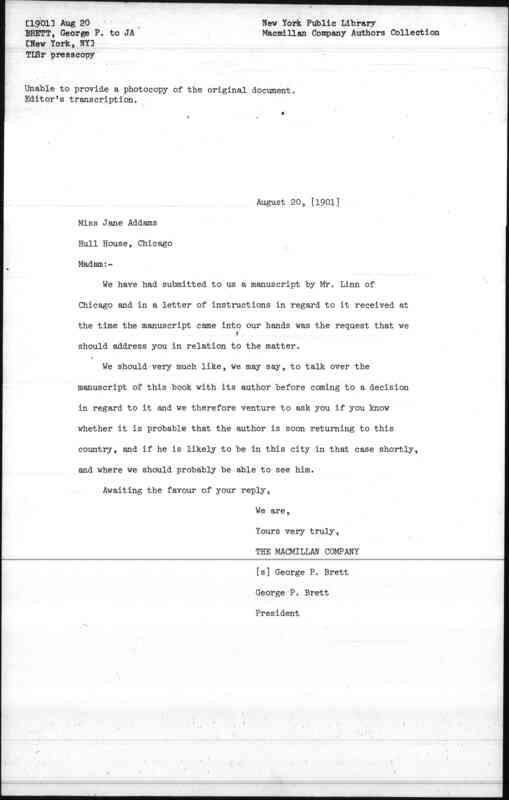 Brett, George P. and Macmillan Company, “George P. Brett to Jane Addams, August 20, 1901,” Jane Addams Digital Edition, accessed April 25, 2019, https://digital.janeaddams.ramapo.edu/items/show/999.